Parker Tobacco Company is a former tobacco purchasing, processing, marketing, and commercial storage operation in Maysville, Kentucky. It was demolished in 2011. During the 1930’s and 1940’s, Parker Tobacco purchased and processed tobacco on a commission-only basis for three to four Kentucky dealers and three of the domestic cigarette manufacturers. 3 After World War II concluded, the company grew by conducting commission packaging and storage for the United States Government. It also did increased business with domestic tobacco companies and dealers. Parker Tobacco installed a large threshing line in 1961 that allowed it to handle purchases in leaf, bundle or strip form. 3 The company began to purchase tobacco for their own account in burley and flue cured markets. It also started to ship tobacco back to Maysville for sale to customers and looked towards expanding in international markets. Parker Tobacco also became involved with markets in Malawi and Rhodesia in Africa. 9 It also partnered with the Dibrell brothers, who had pioneered production and exportation of burley tobacco in the Honduras. Together, Parker Tobacco and Dibrell formed Extaho. Parker Tobacco became the first tobacco company to introduce off-shore burley to the United States market. 3 9 It not only handled tobacco in foreign markets, but processed them. That led to increased usage of the Maysville facility from four months a year to nine months a year. The company looked to increase utilization of its plants further in the 1970’s. 3 By 1974, Parker Tobacco boasted a payroll of $1.6 million, 140 full-time employees, and 450 seasonal workers. 9 It agreed to purchase the Speedling Company of Sun City, Florida to produce seedling plants in a patented plastic tray in a greenhouse. 3 The venture flourished. Parker Tobacco’s customers included eight domestic and three foreign manufacturers, and the Burley Tobacco Growers Cooperative Association. 9 To handle the spreading company, Parker International was incorporated on October 14, 1976. 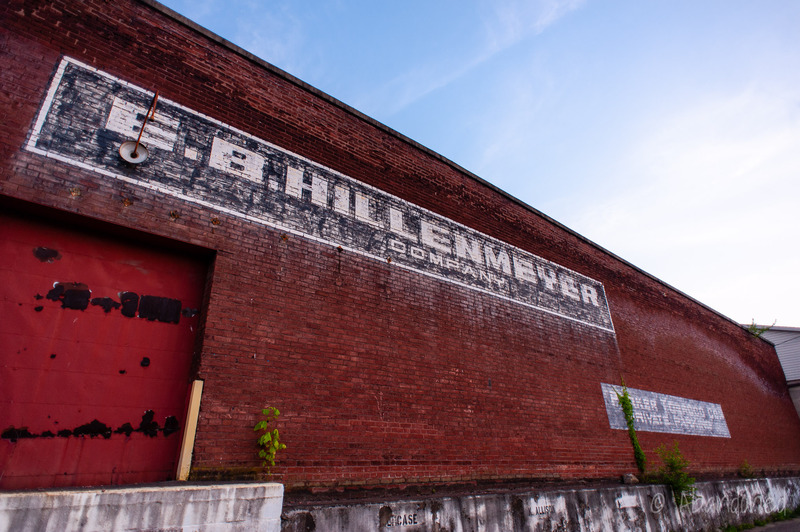 2 In December, the new company acquired 100% of the capital stock of Parker Tobacco on a 4-to-1 basis, 1 with approximately 90% of the shares of Parker International owned by the Parker, Hillenmeyer and Chamness families. The new company was as a result of its international expansion and its growth from a mere redrying facility, into one that processed tobacco from other countries worldwide. 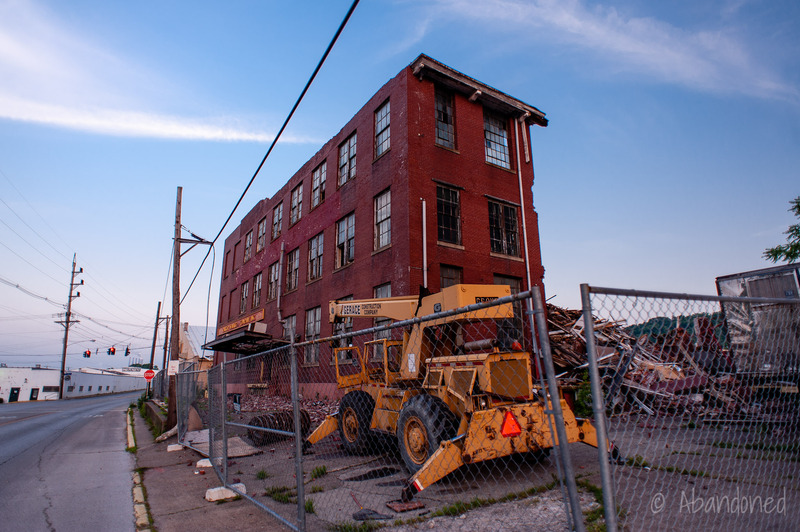 Demolition of Parker Tobacco Company in May 2011. “A Brief History.” Parker Tobacco Company Summary, 1980. Parker Tobacco Company, Inc. pg 1. “Statement of purpose.” Parker International Summary, 1980. Parker Tobacco Company, Inc. pg. 1. “Statement to all members and stockholders.” Parker Tobacco Company Summary, June 1, 1976. Parker Tobacco Company, Inc. pg 4. Stahl, Matt. “Sam Parker top bidder at auction.” Ledger Independent (Maysville), August 1, 1998. April 2, 2007. “Parker Tobacco Warehouse damaged in fire.” Ledger Independent (Maysville), May 23, 2007. May 23, 2007. Maynard, Misty. “Parker fire interrupts relaxing night.” Ledger Independent (Maysville), May 23, 2007. May 23, 2007. Toncray, Marla. “Long night for firefighters.” Ledger Independent (Maysville), May 23, 2007. May 23, 2007. Maynard, Misty. “Another warehouse target of fire.” Ledger Independent (Maysville), May 23, 2007. May 23, 2007. Toncray, Marla. 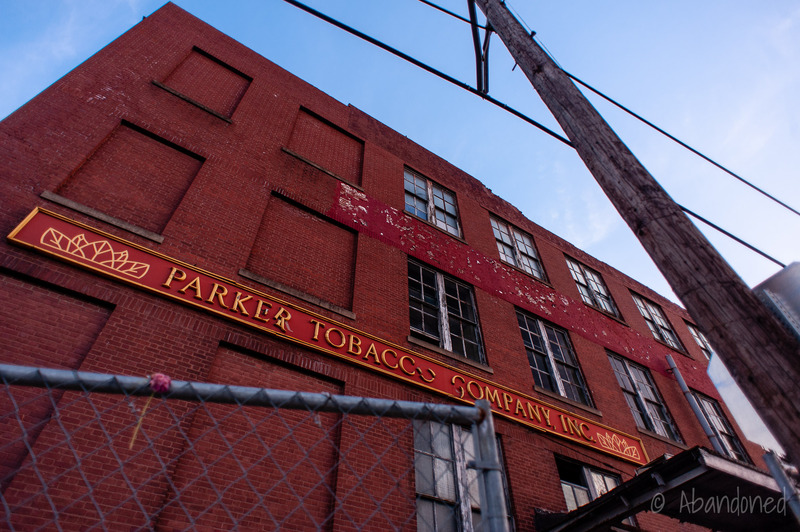 “Parker Tobacco: The end of an era.” Ledger Independent (Maysville), 5 March 2010. 12 March 2010 Article.